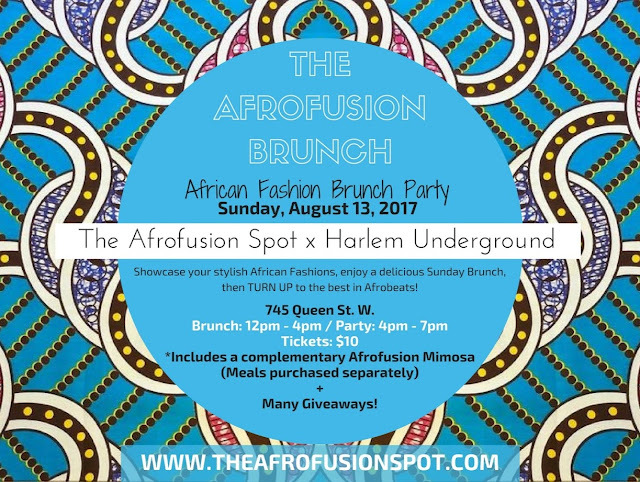 Showcase your stylish African Fashions, enjoy a delicious Sunday Brunch, then TURN UP to the best in Afrobeats. Harlem Underground Restaurant will be offering a menu filled with delicious Brunch options, including their famous Chicken & Waffles, and DJ Flex of All Trades will be on the 1's & 2's giving us the best in Afrobeats, Hip Hop, R&B & Dancehall. DRESS CODE: Stylish African Fashions - East, West, North, South, All types of African fashion! There will also be chances to win great giveaway prizes! We will also be awarding a BIG prize to the best dressed Male attendee & Female attendee!